Take your beloved pet home in one of these wonderfully designed pet memorial urns with hand-carved prints. These urns are true works-of-art as they are hand forged and carved by old-world artisans from India. Each pet urn comes with a threaded screw-on top for easy and safe installation of your pet's ashes. This solid pet urn is available in a Small, Medium, and Large size depending on the size of your beloved pet. 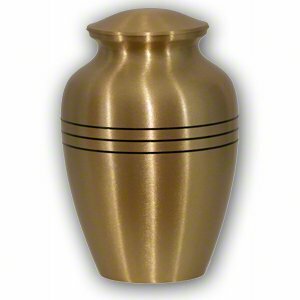 Sophisticated Elegant Style, High Quality & Engravable: personalize your pet urn with these beautiful and unique, pet urns. Express your everlasting love: Express your love for your pet with a beautiful pet urn, give your loved one the quality they deserve - a high quality urn to hold their ashes and act as a fitting tribute to the love you shared. User friendly: Threaded lid with wide opening. Hand Carved by old-world artisans from India. Threaded Screw Top Lid for Secure Sealing: The threaded screw top securely contains the remains of your loved one, durable and easy to maintain. This great memorial will honor your Loved pet existence. If you have any questions about this product by Best Friend Services, contact us by completing and submitting the form below. If you are looking for a specif part number, please include it with your message.